Burnham Hotel in Downtown Chicago. When I first arrived in Chicago for my two-night stay at the Burnham Hotel, I was struck with a bit of homesickness. After all, I lived, worked and played in the Windy City for 10 years. I remember well the location of the hotel on Washington Street. The property is within walking distance to everything downtown, and is also steeped in history. The Chicago historical landmark, Burnham Hotel, was constructed in 1895. 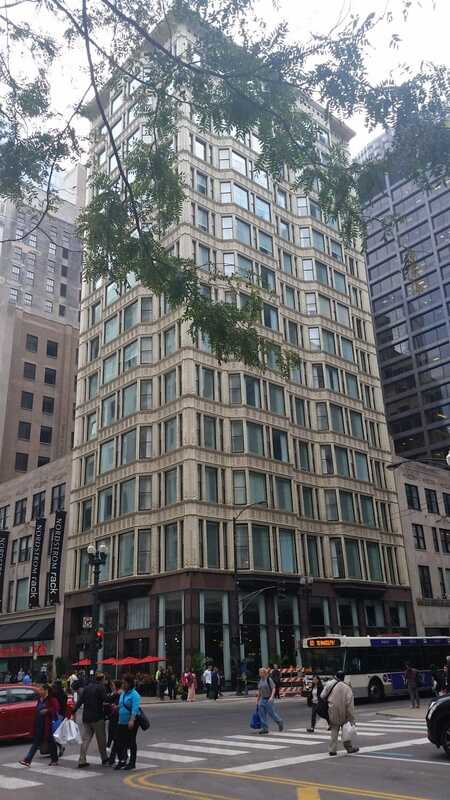 Part of the Kimpton Hotel group, the Burnham Hotel is located in the historic Reliance Building. Last year the property unveiled refreshed guest rooms and lobby space as part of a $4.1 million renovation. The chic restaurant on the ground floor, Atwood, also got a refresher. The team did a great job of adding the modern elements while at the same time preserving the integrity and history of the place. In the rooms there is a warm feeling of wood paired with a neutral palette, plenty of space to move around and the views are amazing. As for the restaurant Atwood, the kitchen is run by Executive Chef Brian Millman and the bartender is Ray Anguiano. Both work to keep the tone real relative to the historical building in which the American cuisine is served. The Burnham also offers a nice wine hour for guests to sit and relax while enjoying the public space on the ground floor. I imbibed in a few glasses before heading over to the Goodman Theater on Dearborn Street, walking distance of course. Just two blocks away is the Goodman Theater. The show I saw is no longer running, it was the Pulitzer prize-winning “Disgraced” taking a look at Xenophobia, religion and identity in America. However, the Goodman is the kind of theater you will always find a show that is worth experiencing while in Chicago. In fact, the Goodman has been a Chicago icon for the past 90 years bringing in some of the biggest stars on the Chicago stage. The theater has also recently expanded with a $15 million expansion effort. Also, while visiting Chicago check out the Chicago Cultural Center and Millennium Park. Art is a big deal in Chicago so take the time to get to know some of the amazing work. Check out local attractions like the Museum of Contemporary Art and the Art Institute of Chicago. Expect to spend at least half a day at each museum for the best experience. Another must while in Chicago is the Chicago Architecture Foundation Boat Tour. I have taken this tour a few times, but it always surprises me the remarkable architecture in this city. It seems to be ever changing yet he historical significance is always maintained. Some of the standout buildings of the boat tour on the Chicago River include 600 West Chicago Avenue, the Merchandise Mart, Marina City, Lake Point Tower, Wrigley Building, Trump International Hotel and Tower, Boeing Headquarters and 333 West Wacker Drive. These are just a few of the high-rises that make Chicago the city that it is today. 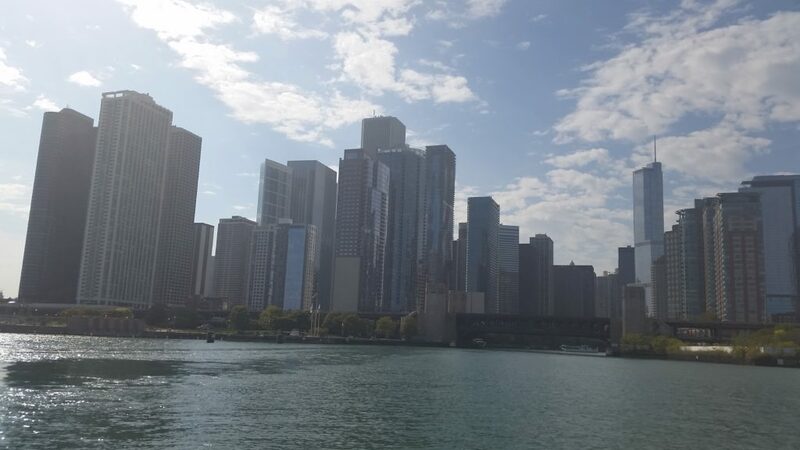 The boat tour takes a diverse look at everything from Chicago’s early warehouses from the 1900s all the way through to the art deco, post modern and contemporary. Founded in 1837, Chicago is a city that is continually reinventing itself. Remember, many of the world’s first skyscrapers were built in Chicago. With its inland waterways and railroad networks it has always been a stop on the road and a major transportation hub for the entire nation. A city with much to offer, it’s perfect for a week or a weekend and either way, you will certainly return again and again. Next articleWhat Happened In Murder Of Elderly Cedar Hill Man?